These St. Louis ribs are the ultimate meat for grilling, smoking, or barbecuing. Slather them in a dry rub or glaze them in a tangy sauce; these ribs are sure to provide an entertaining and delicious meal for your patrons. 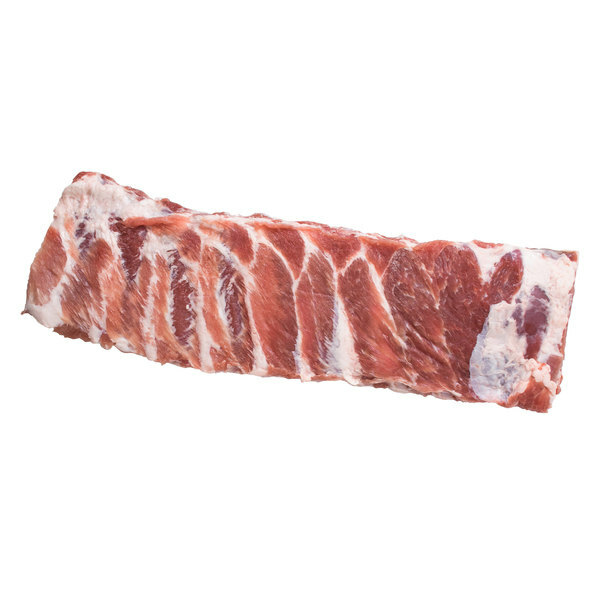 St. Louis ribs are cut from spare ribs and have the tip and sternum removed. 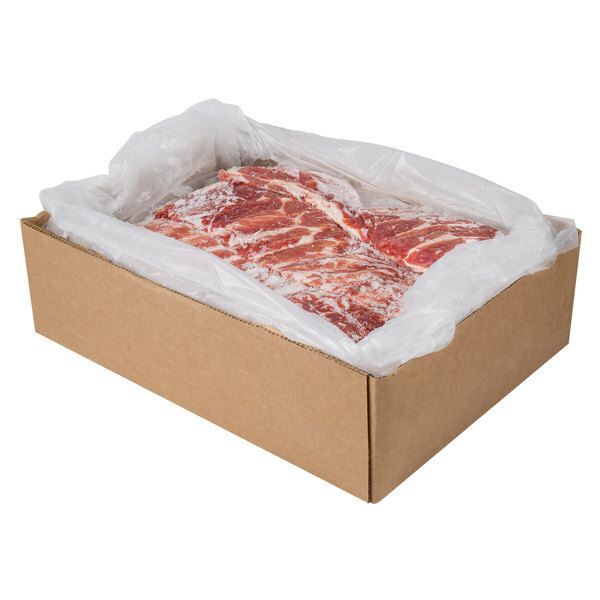 This creates a more uniform shape and appealing piece of meat for an improved meal presentation. St. Louis ribs are also the common cut of choice for barbecue competitions as they are thicker and boast more meat. Plan on approximately 1.5 lb. of rib per person, depending on what you serve with these ribs. You'll want to cook these long and at a low temperature, with indirect heat if possible. To prepare these ribs, let them first thaw in the refrigerator. If you're using a dry rub, you'll want to apply and let it sit for a minimum of 2 hours, or up to 12. When the ribs are ready to cook, preheat only one side of your grill to 300 degrees Fahrenheit. To help the ribs stay moist, you'll want to place a container (such as an aluminum pan) with water on the lit side of the grill. Cover it with aluminum foil and make slits in the foil. Place the ribs on the unlit section of the grill, bone side up. Close the grill and allow the ribs to cook for 1 1/2 hours. Flip and cook for another 1 1/2 hours, or until the rib meat is tender and begins to pull back from the bone. Serve your customers something sweet at your restaurant, or dish out something spicy at your barbecue stand. 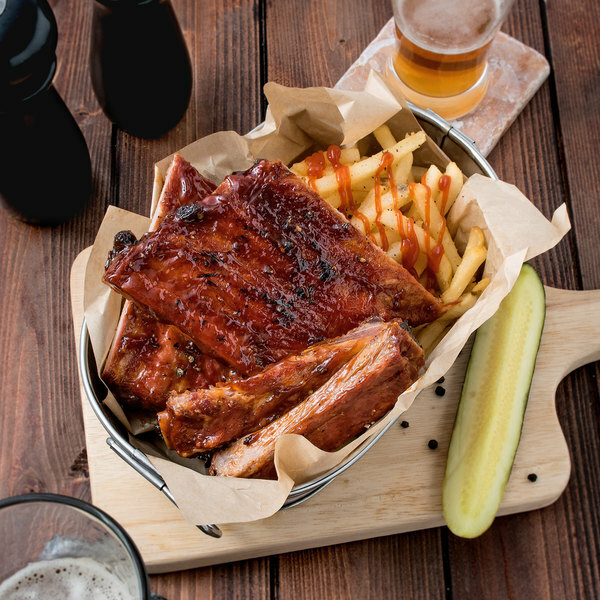 Just be sure to give them plenty of napkins so they can thoroughly enjoy these St. Louis ribs.